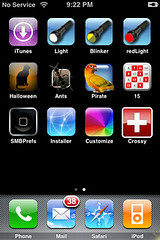 Doug is starting to do video reviews of App Store applications so, I was trying to find a few applications that I could review that didn’t necessarily need a video. So, I decided to go with a few familiar apps..all of which are free (which is nice!). 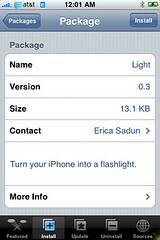 Most people in the jailbreak community are familiar with the name Erica Sadun…she has developed quite a few applications for the jailbroken iPhone. 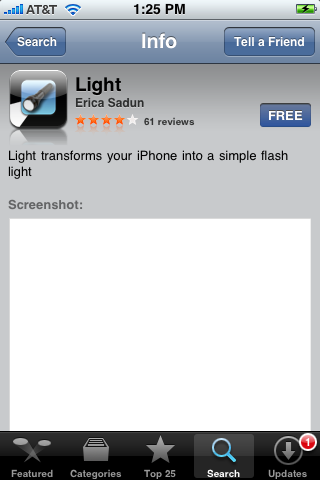 It seems Light, Moo and To Do have made their way from Installer to the App Store. Below are quick descriptions of each application. Light is a simple application that turns your iPhone into a flashlight. Once the application is installed, all you need to do is tap the icon on your SpringBoard and voilà, you have an instant flashlight. 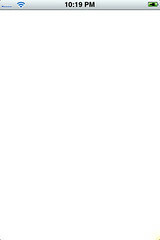 This really does work…I used it all the time on my jailbroken iPhone. They only problem with Light is that you cannot adjust the brightness. So, if you are trying to check on a sleeping baby…it can sometimes be too bright! 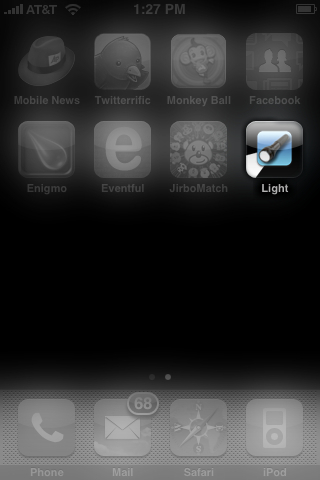 A flashlight application is a must have for any iPhone or iPod Touch! (Doug just used this app to plug in a mic to the back of his computer! Ha!). Developer’s description of toy: Turn your iPhone into a flashlight.